It’s a hard life being a student. Trying to juggle all the various aspects of friends and family, lectures and jobs and then trying to keep to your deadlines. There’s just not enough hours in the day. AssignmentMasters.co.uk has adopted the mission of trying to alleviate some of that stress by handling all of your writing related tasks, giving you the ability to focus on what’s important. 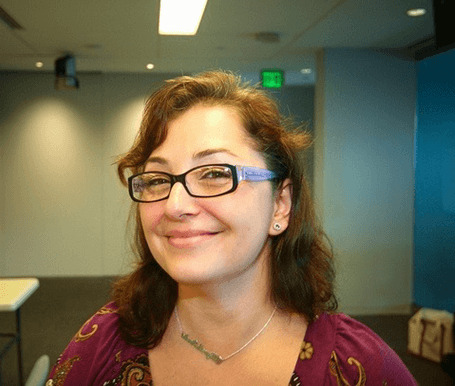 At a first glance, AssignmentMasters looks like your normal custom writing service website. There are all the pages you would expect on a writing service website. However, the more you explore the site, the more you’ll notice the problem. The site is packed full of filler content. This means that page after page has the same details, just slightly re-written on every page. The site would do well if they refined this text that made it easier for readers to navigate. Assignment Masters does surprisingly offer a great range of services. All the major assignment types are covered as well as some of the niche documents. This means that an average student could use the site regularly without problems but it’s worth noting that there are a couple of key essay types that are missing. 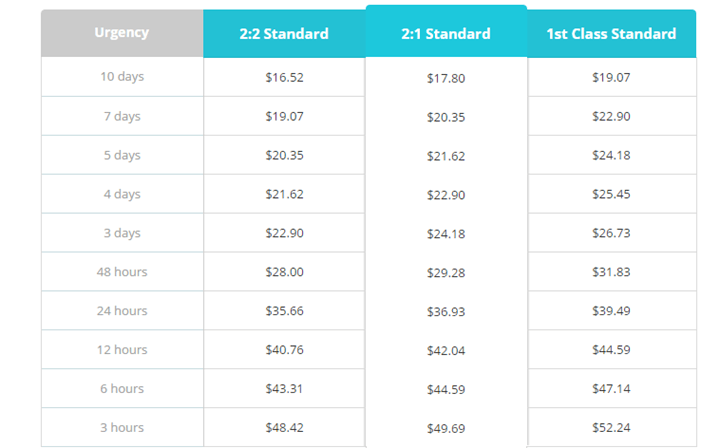 Referring to the price list, you’ll quickly notice the extortionate quotes the site provides. A nine-page (you cannot select higher than this), single-spaced with a 48-hour deadline will set you back a staggering £440! This is an outrage and leads me to believe the website is a scam. This is easily one of the most expensive custom writing services. It’s worth noting that this is price before you even add extras such as proofreading and premium editing. Unfortunately, there is no reviews or testimonials page on the site which leads me to believe the website is either new to the market or is operating illegitimately. After an online search, I discover a few previous customers to the site who had complained that articles were riddled with errors such as spelling and grammar mistakes. Although these could be corrected by hand, this is a service you’re paying for and shouldn’t have to do. 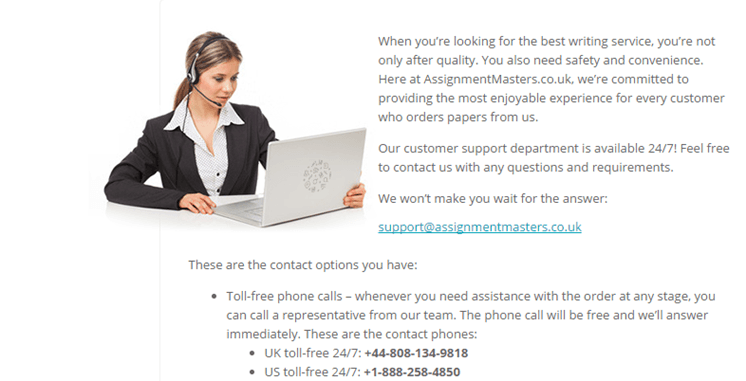 Despite offering such as shoddy service, Assignment Masters does offer a range of customer service options in which to air complaints. Those looking for quick answers can use the on-screen live chat feature. There are also email addresses and toll-free phone numbers if you’re calling from the US or the UK. There is also the option to contact your writer directly from your account after you have made an order. In short, students would be much better off taking their business off to another, more established and well-recognized custom writing service. Despite having a few good features, Assignmentmasters.co.uk has a lot of work to before it can become one of the leading writing websites. With a drop in prices and a better quality website, AssignmentMasters could be one to look for in the future. This company charged 3 times more money for my 2 pages essay that the order form said, how is that possible??? ?